Armed with more than 25 years of experience the focus of Andy's Automotive & Transmission has always been to provide the highest quality service and products to our customers at a fair price. Innovations and technology in the automotive repair industry demand that we move swiftly to stay in stride with new car manufacturers' specifications. At Andy's you can rest assure we're ahead of the curve in all the latest advancements so your vehicle is getting the service and care it deserves. Owned and Operated by Andy Pierce, Andy, carries the title of Master ASE Certified Technician - the highest certification in the auto repair industry. The technicians at Andy's Automotive & Transmission have completed certifications in all the necessary fields of automotive repair meaning you can rest assure your vehicle is getting the highest quality care. 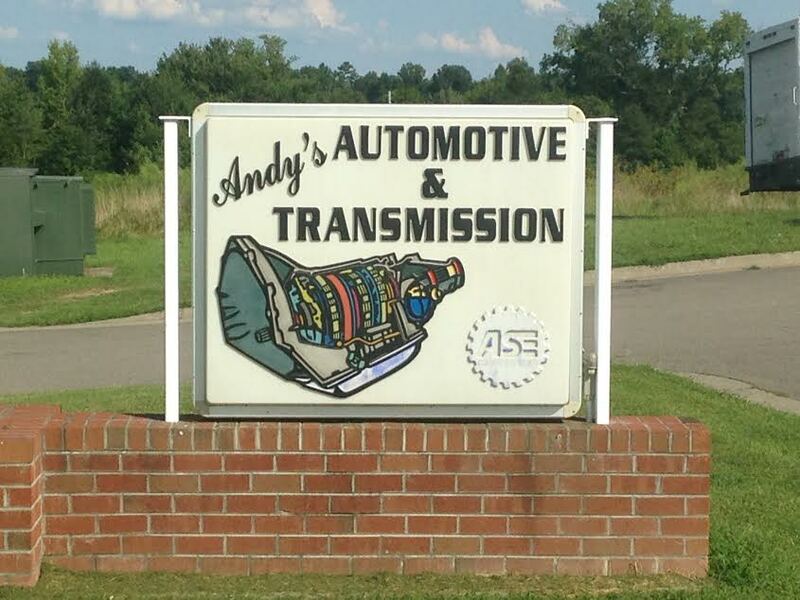 Whether you need a simple tune up or complete transmission rebuild, Andy's Automotive & Transmission can handle all your automotive repair needs. Why Andy's Automotive & Transmission? Delivering honest and professional auto repair and maintenance services to our customers. We are committed to customer service and providing the BEST auto service, while providing our customers with quality car care at a fair price.